27 February 2015 was a D-day for the Central Bank of Sri Lanka, with several unprecedented events taking place connected to the Treasury bond issue of Rs. 1 billion advertised by the bank. This episode has now gone down in the history of this country with full details available in the public domain. The matter remains in a questionably doubtful state regarding its impending outcome. This is a recreation of the past events of the issue and with the advantage of hindsight a speculation of what we could possibly foresee in the context of what was mockingly obvious in hindsight. We have seen the outcome of the special Committee of Inquiry appointed by the Prime Minister as well as the then Minister in charge of the CBSL, to investigate about the matter in the wake of the public hue and cry immediately after the bond issue on 27 February. The composition of this Committee and its findings reported to Parliament are now known. The matter could not be put to rest because the report inter-alia stated that there should be an investigation into how Perpetual Treasuries secured 50% of the bids accepted at the TB auction held on 27 February. On 20 May 2015, the Speaker of Parliament directed that the COPE should carry out a full investigation into the issuance of a 30-year bond taking into consideration the Motion earlier submitted to Parliament by several MPs and included in the Order Paper on 8 May 2015. COPE accordingly appointed a special sub-committee of 13 members chaired by MP D.E.W. Gunasekara. Before COPE concluded its investigations several MPs requested that a report of the special COPE be submitted and in view of this the Speaker requested an Interim Report. 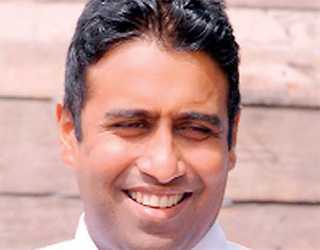 Gunasekara, the Chairman, insisted that further inquiries were necessary before a complete report could be prepared. But COPE was unable to prepare even this Interim Report due to disagreement among the members of the sub-committee. The seventh Parliament was dissolved on 26 July 2015. Public outcry on the subject was so demanding that the new Parliament had to appoint a special COPE committee to investigate and report. From the information subsequently available it is evident that there were many quizzical things happening while the COPE inquiry was proceeding. Members of the COPE of the eighth Parliament during the period from 6 May 2016 to 28 October 2016 (when the inquiry conducted by COPE was underway) have had communications with Arjun Aloysius, one of the suspects in the case. “Parliament should ensure that the recommended punishments and orders are implemented to the letter and do the necessary follow up.” This report unfortunately could not be discussed by the Parliament because of objections raised by MP Sumanthiran that there were no Sinhala and Tamil translations before the Parliament! To date the matter lies as it is and the noble recommendations of the COPE also remain jacketed in darkness! The legal process, however, started its own unavoidable course, but now stands choked due to the principal actor absconding, now in ambush far away from the reach of anyone disappointing the COPE sub-committee which contemplated serious action. Attempts being made to change the laws that are applicable to impose punishment to such crimes overlooking the specific references made to the relevant sections in the Act by the COI. Ravi Karunanayake as the Minister of Foreign Affairs stating as follows in his evidence before the COI: That he did not know who the owner of the apartment where he lived until he came to occupation! The owner in her evidence affirmed that the floor area was 4,000 Sq.Ft. But the Minister in his evidence said it was only 700 Sq.Ft.! A company called Walt and Row Associates was paying Rs. 1.4 million a month as the rental for this apartment at Monarch Residencies. But the Minister maintained that his family was reimbursing the amount to this company. 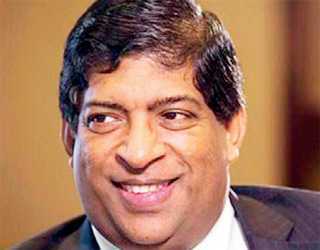 Arjuna Mahendran, of Perpetual Treasuries Ltd., however, was a Director of Walt and Row Associates. When shown a text message from the inbox of Arjuna Aloysius’s mobile phone, which read as “Dear honourable Minister Ravi,” he said he does not understand this SMS. Hilarious indeed! The big question before us is whether giving of a specific directive by a person in authority that yields to a calamity is not an offence? In both bond issues of February 2015 and March 2016 (yet to be deciphered), is not the directive given as an instruction by the PM to Governor Mahendran the root cause of this entire episode? Then who should be made culpable? On 27 February 2017, the bond auction takes place as scheduled between 8 a.m. and 11 a.m. Governor Mahendran walks into the Front Office where the auction process is taking place at 10:45 a.m. At about 10:48 a.m. the front office receives a request from BOC Treasury Department to extend the auction closing time by 10 minutes to accommodate certain special bids from customers. The auction closes at 11:04 a.m. and the Front Office prepares a schedule of the acceptable bond range to be submitted to the CBSL Tender Board. The amount so decided to be accepted as bids was Rs. 2.6 billion. At about 12:30 the same day Governor Mahendran walks in again to the Auction Room and make inquiries about the offers received. After learning that there were offers to the value of 20 billion, he instructs the Front Office to take all as there is an additional fund requirement (approximately 75% of these bids have come from PTL and BOC on their behalf at extremely high rates). CBSL officials resist this, stating reasons, but due to the insistence of Governor Mahendran decide to recommend Rs. 10 billion. Mrs. Seneviratne, Superintendent of the Department, makes a note in the documents stating ‘Governor instructed to raise Rs. 10 billion, taking into consideration additional fund requirements of the Government”. The Tender Board of the CBSL meeting the same afternoon decides to accept this recommendation after its Chairman obtained direct confirmation from Governor Mahendran which he informed to the members of the Treasury Board. The DDMC, Domestic Debt Management Committee of the CBSL has decided before that the bank should raise one billion and take the rest on the basis of the decided rate by direct placements. The rest is history and in public domain. Whatever the findings are, people can surmise what has actually happened.